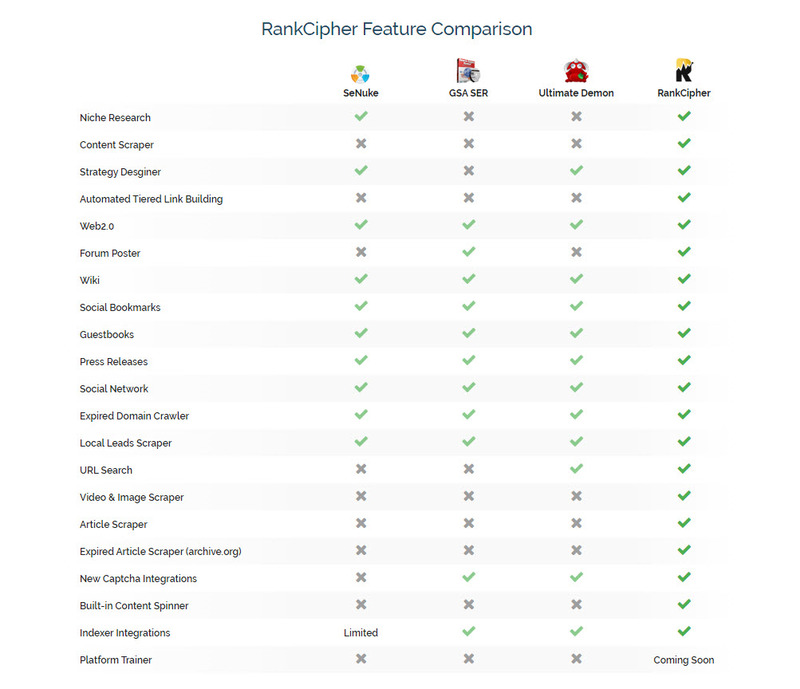 RankCipher is a search engine optimization (SEO) software which helps you get quality backlinks without any manual labour to create accounts, solve captchas, write unique content and publish it to hundreds of websites.without any human assistance. Effortlessly Boost Your Website's Rankings to #1 Position in Google While Saving 86% of Your Time in 2016 With the Next Generation SEO Automation Software! Report Generation Module : Easily create fancy looking reports for yourself or your clients. If you are an agency, you would know that making reports of your monthly link-building work is a puzzle to solve. That is why, we have embedded this feature in RankCipher to make this task extremely easy for you.. Thank you so much for your nice stuff! !